Enduro-type pattern, with low profile and rigid carcass, to ensure excellent stability on bends even with the scooter fully loaded. Great features of stability and handling. 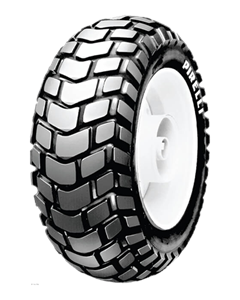 Tread with wide grooves to offer excellent grip in all conditions and on all surfaces. Available in sizes of 10” and 12”.